I can’t exactly tell you when the weather bug hit me. All I know is that the weather just fascinates me. Maybe it started when I was a youngster. A summer thunderstorm would force the neighborhood gang of kids onto our front porch. Rained out of our outdoor mischief, we passed the time oohing and ahhing at the vivid streaks of lightning dancing across the sky. College invigorated my interests all the more. Geography courses answered questions I didn’t even know to ask. My weather appetite intensified. After I had graduated, I took a teaching position at Killbuck Elementary School and joined the volunteer fire department after moving to the village in the valley. When I learned that the National Weather Service depended on first responders as severe weather spotters, I was elated. I took the required course to become a trained spotter. 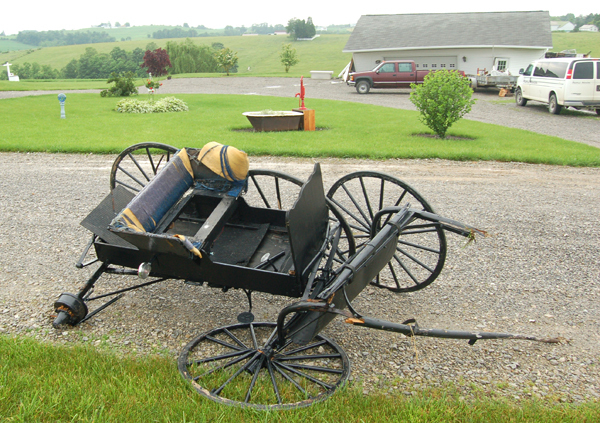 Doing so enabled me to combine two interests into one, firefighting and weather. Both my school days and my volunteer firefighting days ended years ago. However, my obsession with the weather continues. I keep an eye on weather forecasts for good reasons. The lives of others might depend on it. In today’s electronically connected world, I get the word out about potential severe weather through posts on social media just in case a few people don’t hear about the impending storm. I likely won’t ever outgrow the desire to watch the weather. When the National Weather Service posts a storm watch near where I happen to be, I go into proactive mode watching various radar and severe weather pages on the Internet. Thanks to technology, a spotter’s approach to watching for severe weather has significantly changed over the decades. Instead of going to the highest hilltop with the best vantage point and viewing from a vehicle, I can stay in the safety of my home. There I track the storm on my computer and by watching out the windows for rotating clouds, hail, and any flooding I can see. It’s a little different story in the winter. Spotters help out the National Weather Service by measuring the snow the old-fashioned way, using a ruler. Of course, the measurement has to follow protocol. Spotters measure snow depths that accumulate on a board elevated above the ground. Morning and evening, the local weather service office receives reports of new snow totals from dozens of snow spotters across the coverage areas. 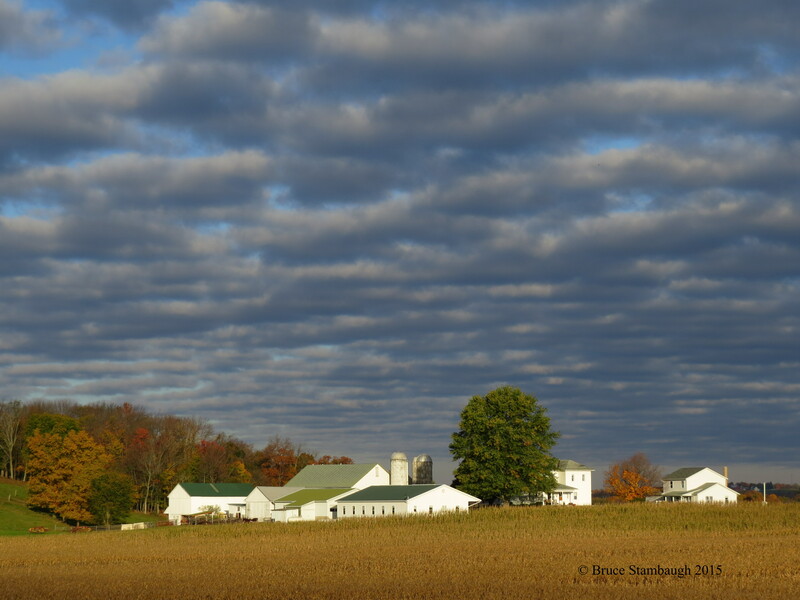 Doing so helps the professionals in evaluating their forecasts and even in issuing weather advisories. After all, frozen precipitation is the hardest type for career meteorologists to predict accurately. Like many of the other community activities I’ve done in my life, being a weather spotter is a voluntary position. Knowing I am only one of many who help the weather service get the weather word out to citizens is all the pay I need. 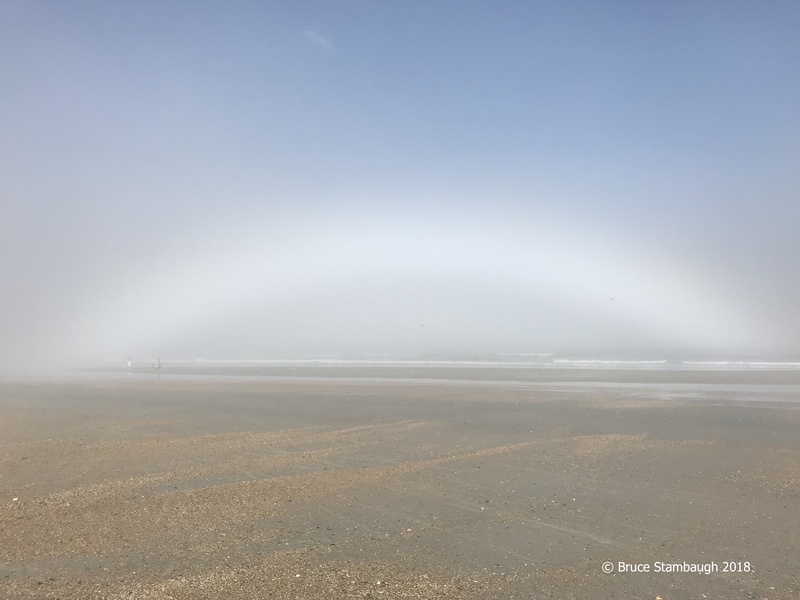 Between tornadoes, blizzards, flash floods, damaging straight-line winds, and lightning strikes, I’ve seen a lot of wild weather in my lifetime. It may sound a little strange to say this, but I enjoy reporting what I find. I suppose I do it both for the thrill and the necessity to relay what I have observed. Helping the official weather forecasters, even in some small ways, gives me great satisfaction. I guess I’m just a weather geek at heart. I’ll gladly wear that badge of honor as I forge into the next snowdrift. 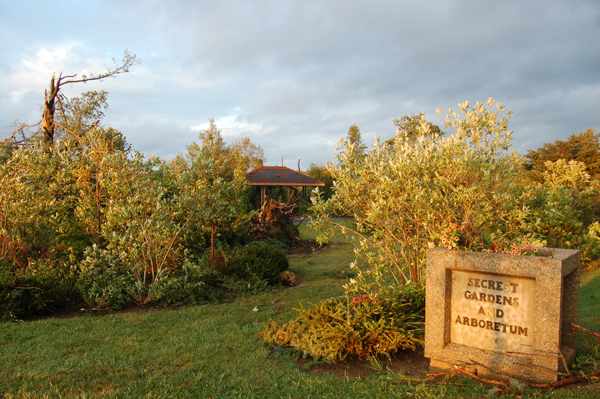 The entrance to the Secrest Garden and Arboretum after the tornado. 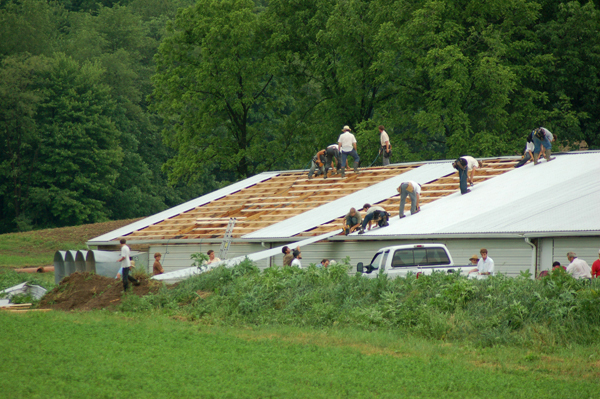 For the second time this summer, tornadoes caused significant damage in Ohio’s Amish country. 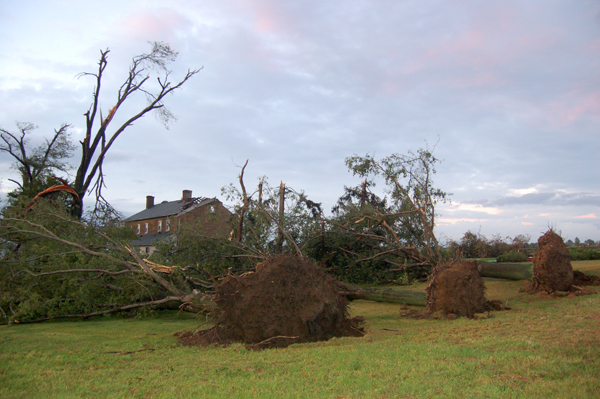 Shortly before 5:30 p.m. on Thursday, Sept. 16 a powerful tornado touched down on the south edge of Wooster, Ohio along Prairie Lane. 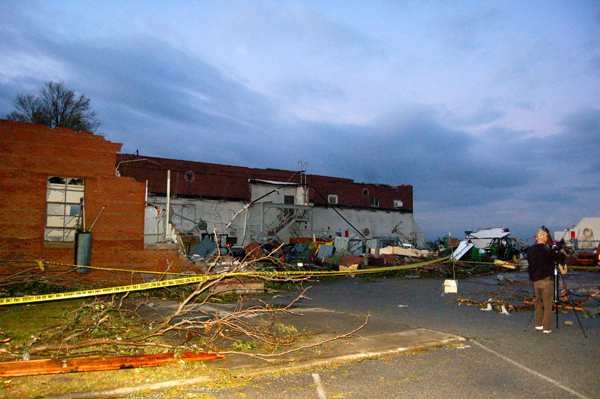 The tornado, which the National Weather Service rated an EF2, proceeded east destroying businesses and homes, and crossed Madison Ave. onto the campus of the Ohio Agricultural Research and Development Center, a division of The Ohio State University. 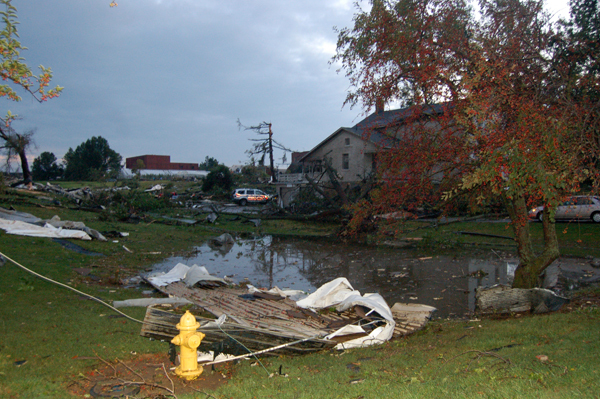 The tornado caused extensive damage to campus buildings, including some historical homes used as offices. It also destroyed the machine shop and heavily damaged parts of Secrest Garden and Arboretum, where many people love to walk and relax among the roses, ornamental shrubs and old age trees. 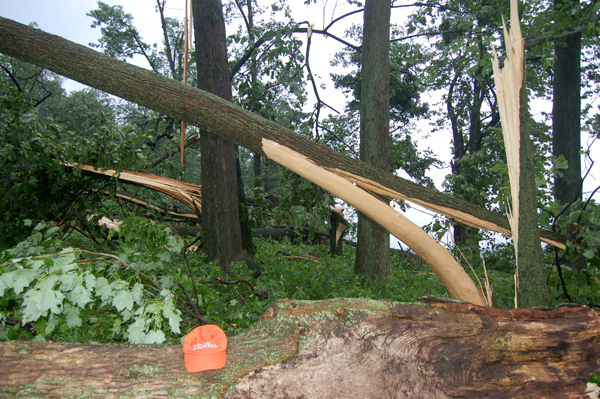 The tornado clipped off dozens of the huge trees 20 to 30 feet above the ground. 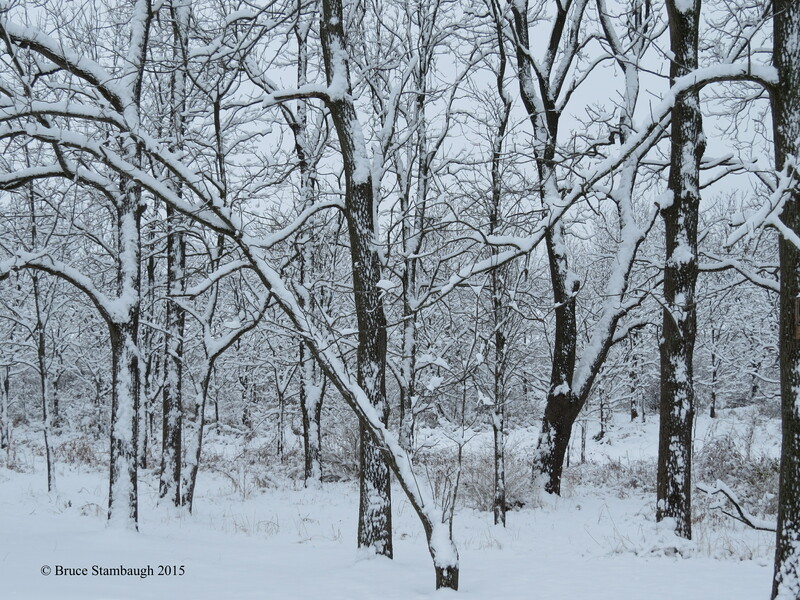 The Wooster Twp. Fire chief reported that only one person was slightly injured. But she refused transport to the hospital. 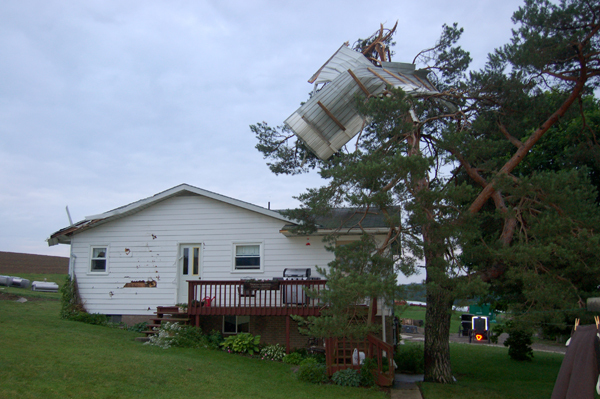 The tornado continued on an east northeast path destroying and damaging several other homes and farm buildings. It did considerable damage to the Riceland Golf Course on U.S. 30 south of Orrville. 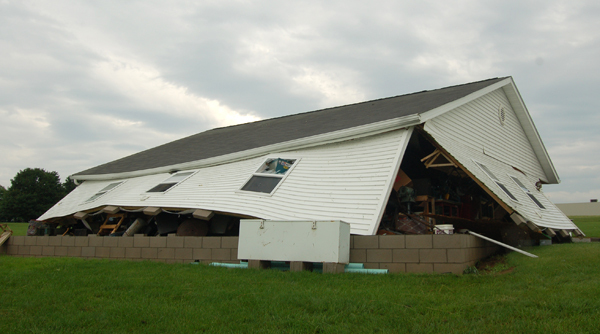 Altogether, the NWS reported that the tornado was on the ground for 12 miles and reached wind speeds of 130 m.p.h. It left a path of destruction 200 yards wide. 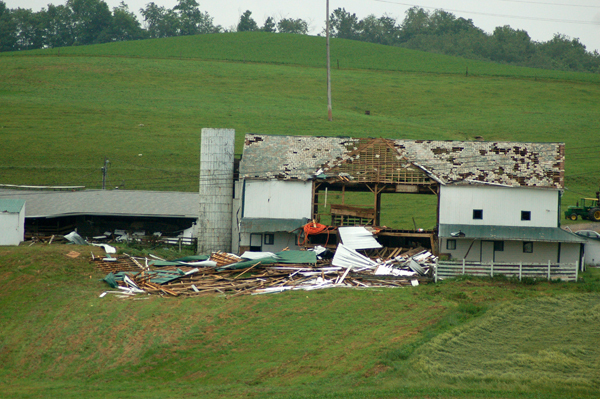 Around 6 p.m., an EF1 tornado hit near the rural town of Farmerstown, Ohio in Holmes County about 25 miles south of Wooster. 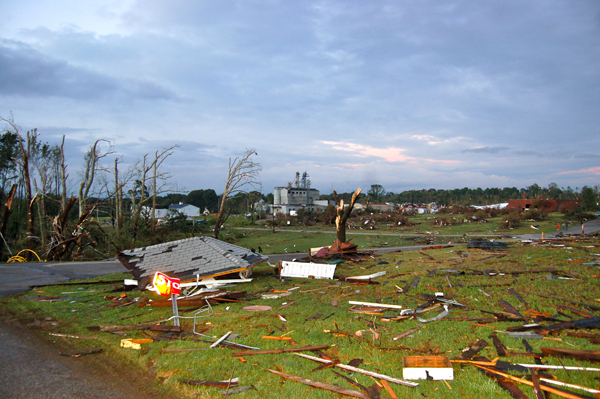 Several homes and barns were destroyed or damaged there. But again, no one was injured, although some farm animals had to be put down. The tornado was on the ground for three miles and reached a maximum speed of 100 m.p.h. It ranged from 50 to 75 yards wide. 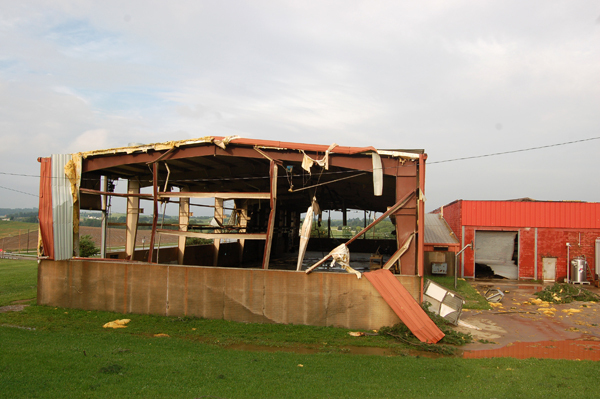 As a Skywarn severe weather spotter for north central Holmes County, the Cleveland office of the National Weather Service asked me to photograph the damage at the OARDC. This was prior to knowing of the tornado in Holmes County. 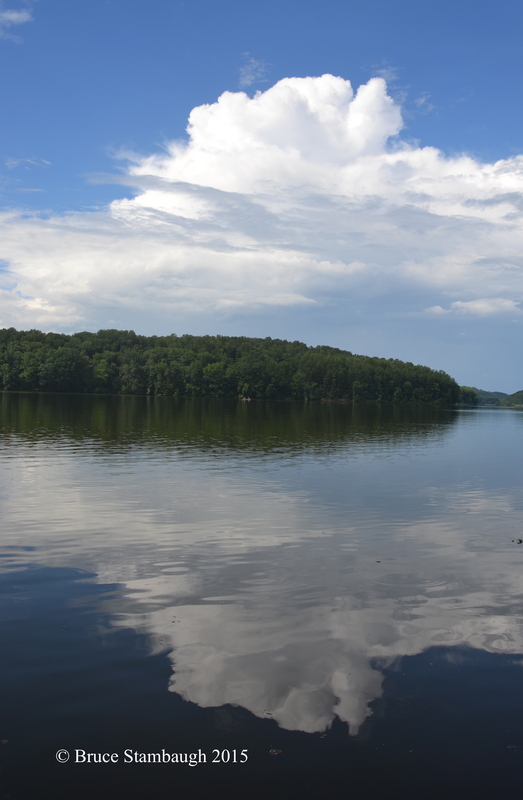 No tornado warning was issued for Holmes County. I arrived at the OARDC shortly before 7 p.m., which left me a little more than a half an hour to take pictures before dark. I shot as many pictures as I could, but due to darkness, was unable to make it entirely around the campus. As I walked back to my car, parked in the arboretum a half mile east of the damaged OARDC buildings, I cut through open fields. 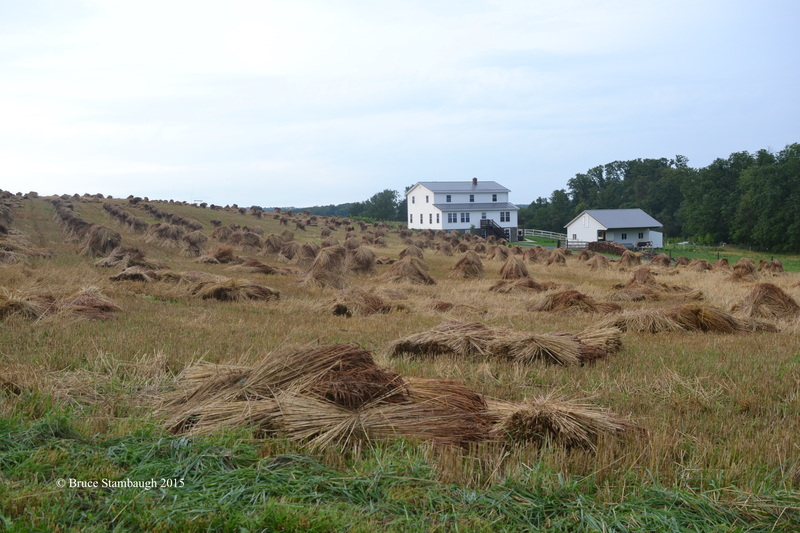 I found several places where debris had hit the ground, leaving large gouges in the fields and grass. 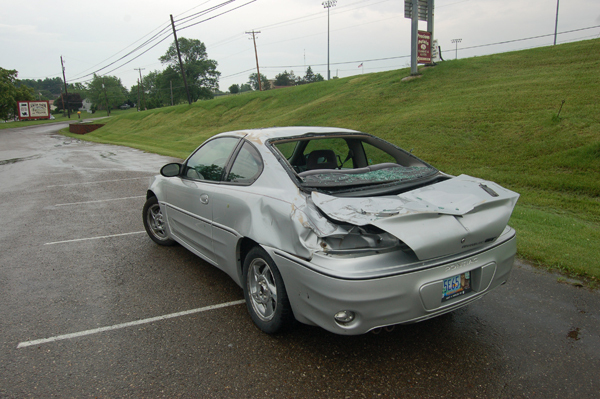 The first tornado of the summer hit Holmes County and continued into Tuscarawas County on June 5. 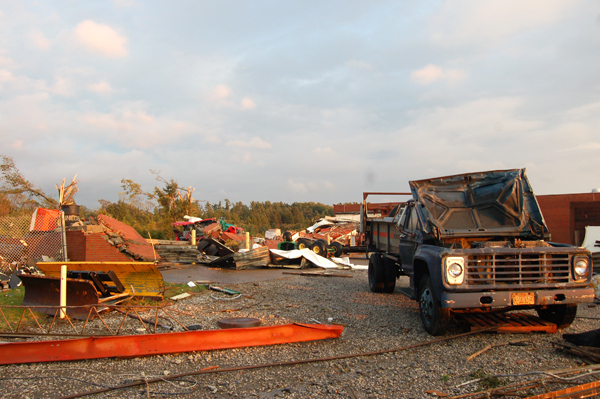 The EF1 and EF2 tornado caused extensive damage along its 10 mile path. A gallery of some of my shots at the OARDC is shown below. 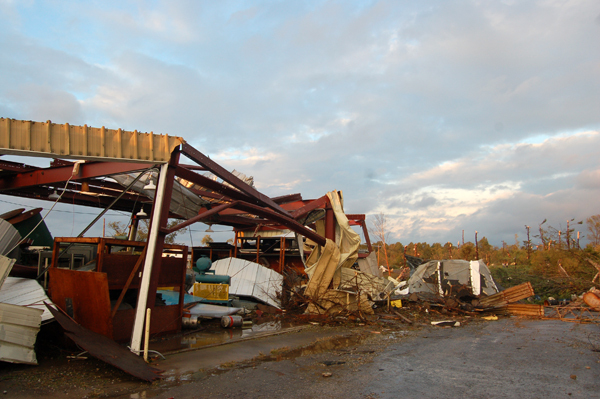 Information about the Farmerstown tornado can be found here: http://www.holmescountyjournal.com/. 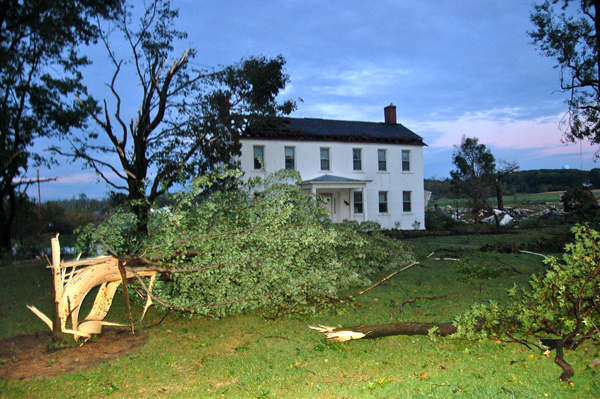 Trees were snapped and the old Rice House heavily damaged at the OARDC in Wooster, Ohio. Another view of the building shown above. 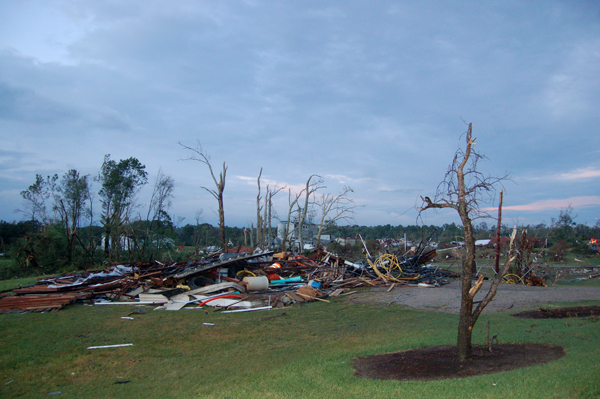 Debris and stripped trees at the OARDC. 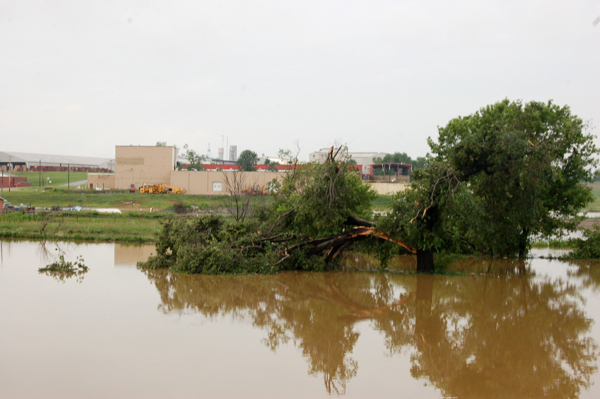 The tornado toppled large trees on the OARDC campus. 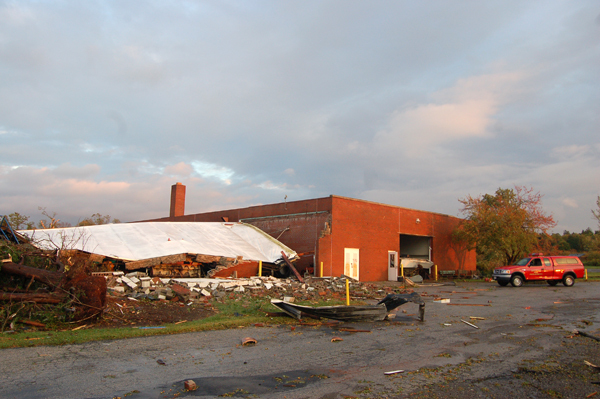 The OARDC's machine shop was heavily damaged by the tornado. 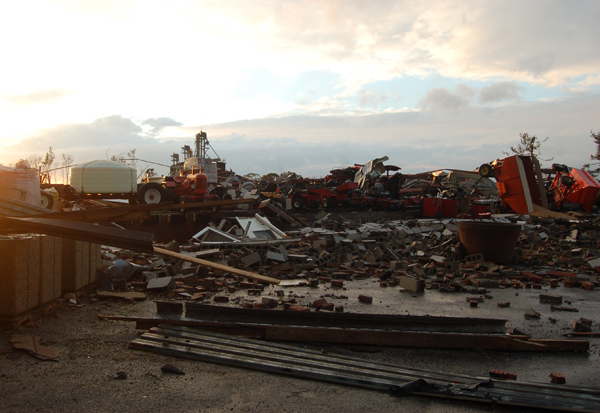 Following the tornado's path to the machine shop at the OARDC. 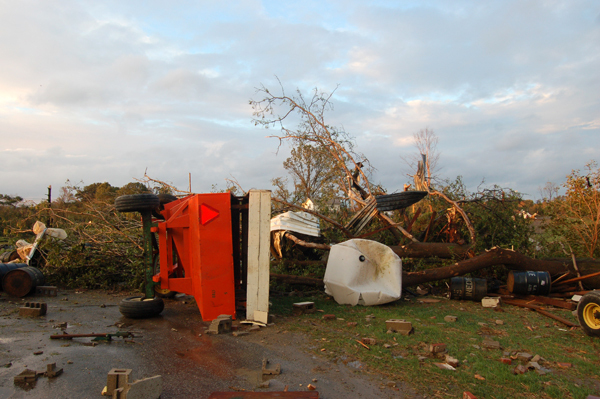 Damaged farm equipment and trees at the OARDC. 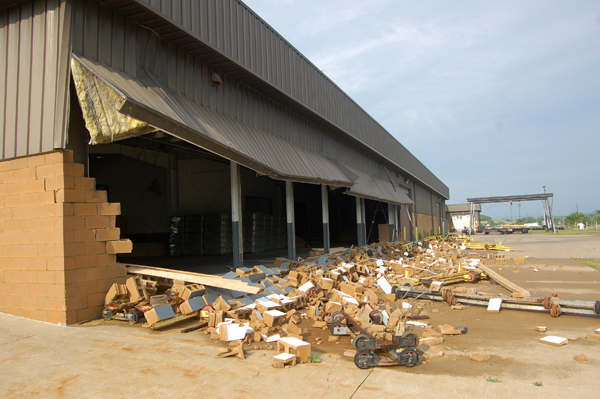 More damage around the machine shop at the OARDC. 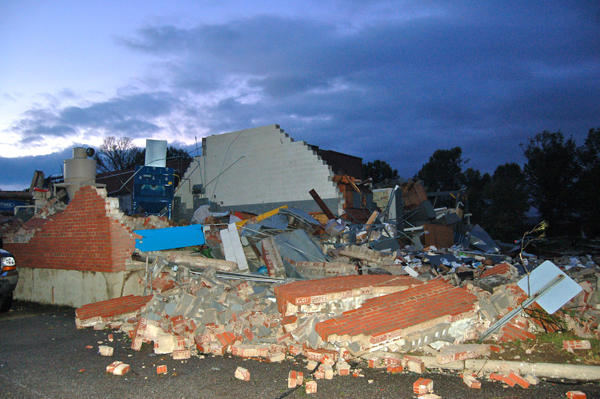 Another destroyed building at the OARDC. 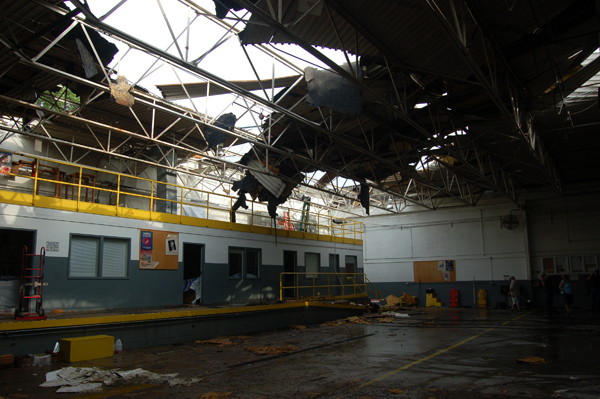 The destroyed machine shop at the OARDC. 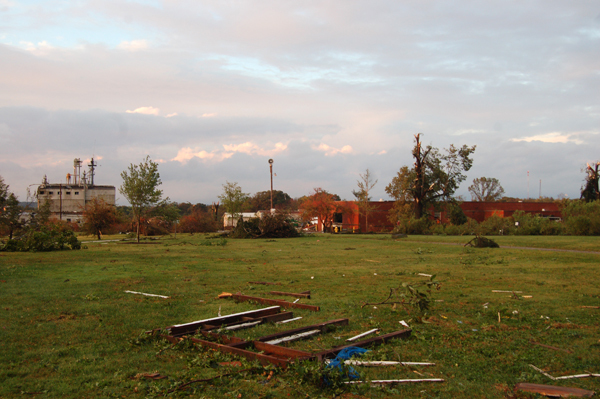 Debris from the tornado littered the OARDC campus. Damage was extensive at the building that housed the campus police station. 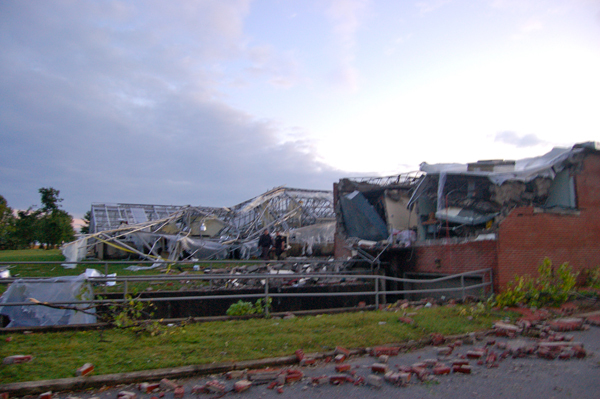 The agricultural engineering building was destroyed. 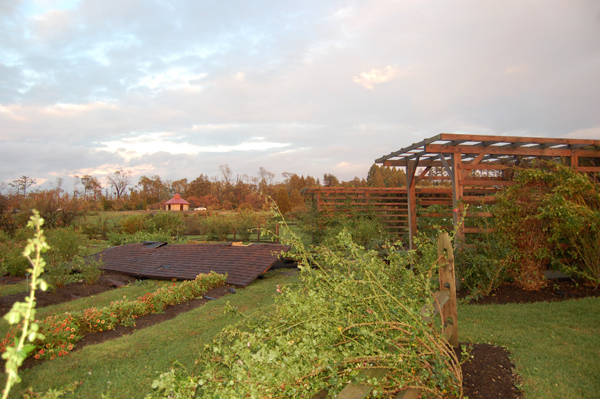 The OARDC rose garden was heavily damaged.